An abdominal binder is a surgical body garment which is made of a cloth material and it is used during post operative phases. 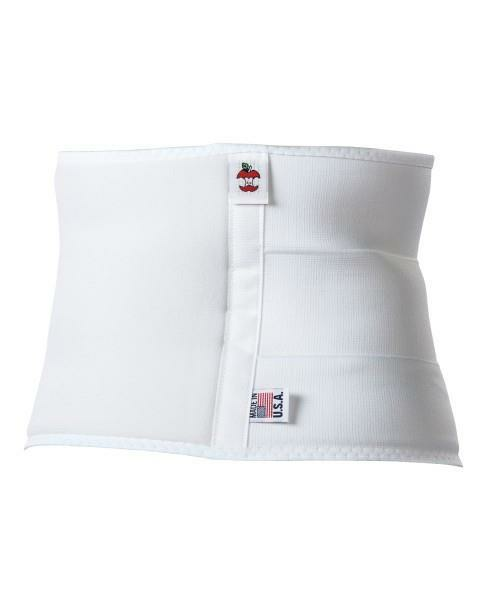 It is a necessary support that allows the tummy area to recover its shape. Abdominal binder helps in blood circulation, prevents swelling and supports the stomach to heal smoothly and work efficiently. Abdominal binder uses compression to promote the healing process. During pregnancy, fetus occupies a large space inside the body that stretches abdominal muscles. For the fetus to develop, it pushes body organs aside to get the space. As the pregnancy proceeds, some of the internal organs shift a little to accommodate a new life form. By the time it is end of the pregnancy phase, stomach is pushed closer to the heart. After delivery the body takes some time to get back into the right shape. Even organs take some time to return to their original location and uterus takes nearly 6 weeks to shrink back. 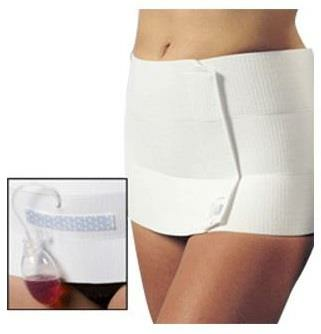 After child birth wear abdominal binder as soon as possible. It won’t matter if the child birth took place vaginally or through cesarean. Abdominal binder would speed up the healing process. Right compression from the garment and natural contraction helps uterus to find its right location. Same applies to other body organs that have shifted during pregnancy and need to come back to their previous position. How To Measure An Abdominal Binder? When ready to buy abdominal binder, it is important to know the amount of compression required. It is essential to do sizing and other measurements before undergoing surgery. Measurements are always taken directly through skin. During first 2 weeks after surgery, stage 1 garment is worn. It is less tight for initial swelling. During the period of 2 to 8 weeks after surgery, stage 2 garment is worn which is tighter and smaller. Take extra precautions with allergies. Abdominal binders are available in two different variants i.e., latex and latex-free. If the skin is allergic to latex, it is best to opt for latex free version. How To Use An Abdominal Binder? Using an abdominal binder is a fairly simple process. Firstly, you need to determine, for how long should the binder be used. Usually, doctors prescribe the amount of the time one should wear a binder, but if not, consult a specialist before you do so. The binder is concealable under your clothes, but one should avoid tight fitting clothes. Wrap the binder around your abdomen and secure the straps. It should be tightened to fit snugly around the abdomen and should not be very tight. For a unit of measure, you can consider wrapping it till the point you can breathe comfortably. Keeping it dry is must as a wet binder can irritate the skin and can also cause infections. Always follow the manufacturers guidelines on how to wash and clean the binder. Abdominal binders are made to keep the abdominal region sturdy and stable and hence sometimes a tight abdominal binder may cause some discomfort. Make sure you use the right size so that you do not have to face problem like irritations and rashes. Binders are compression garments, and so they are many a time associated with allergic reactions and itching. You should check the material of the binder before you purchase one. How To Choose An Abdominal Binder? 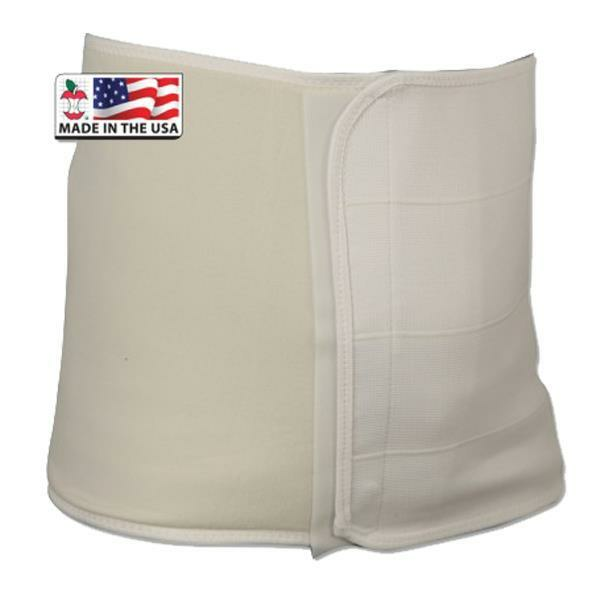 Core Semi-Universal Abdominal Binder helps relieve a multitude of aches and strains to ligaments and joints. 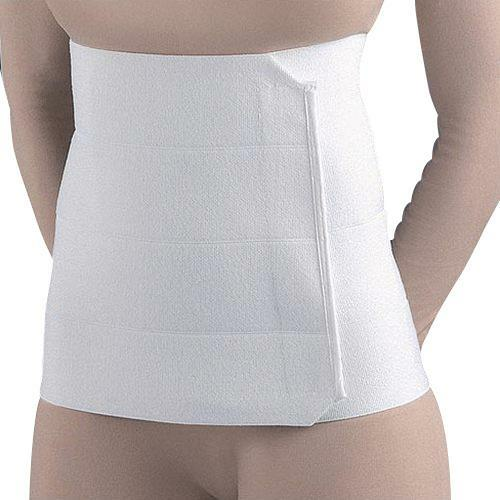 It can be used as an ab binder, a back support, a rib belt or a post-operative belt. The comfortable, multi-tiered plush elastic contours easily and helps prevent rolling. It gives needed support and stability to the rib cage. The binder features a CorEdge finish for comfort and for a proper fit. It measure around the widest part of your torso and it’s latex-free. 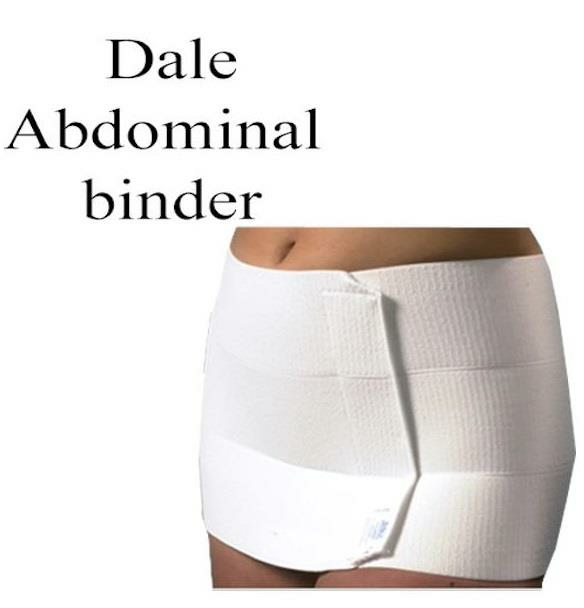 Dale Five Panel 15 Inches Wide Abdominal Binder has been clinically shown to expedite the return of pulmonary function after open abdominal surgery while encouraging patients to ambulate sooner. This binder is made entirely of an exclusive stretch material that provides full, all-around compression and perfect sizing. It actually promotes mobility and lessens the chance of sedentary complications. 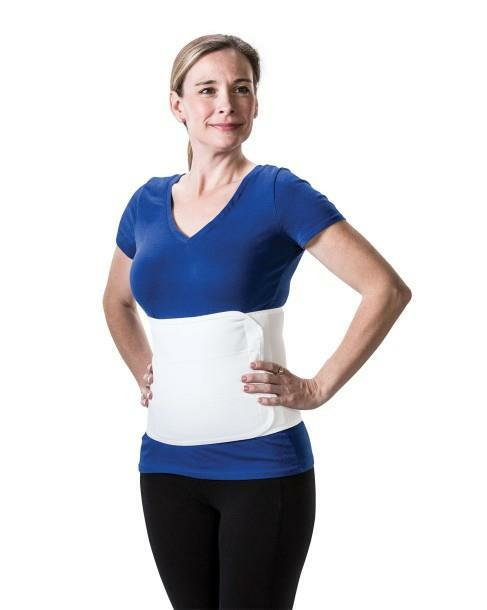 FLA Orthopedics Four Panel Surgical 12 Inches Abdominal Binder provides support and compression to abdominal muscles weakened by strain without restricting breathing or muscle redevelopment. Premium woven elastic provides firm and consistent compression. The material can be cut without unraveling to accommodate drainage tubes. Hook-compatible exterior of Four Panel Surgical Abdominal Binder allows for a large range of adjustability and easy application. It is always recommended to first consult with your healthcare specialist and identify how much compression is exactly required. Also consult about allergies and exact duration to wear abdominal binder.